A weak cold front will usher in scattered showers and breezy conditions Thursday afternoon in South Florida, yet highs will once again push above 80. Mostly cloudy skies and gusty winds continue Thursday night through Friday with lows near 70 and highs only topping out in the upper 70s. Highs have been in the 80s all but one day this month. Not surprisingly, sunshine and 80s return by the weekend. 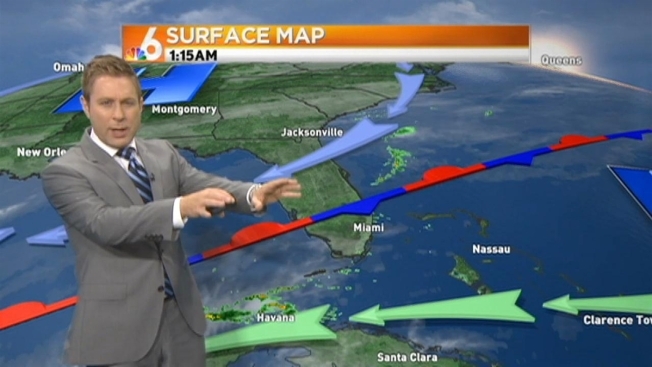 The next best shot at rain will come on Monday as the next front rolls into South Florida. It’s early, but it doesn’t appear as though this front will have much cold air with it either.